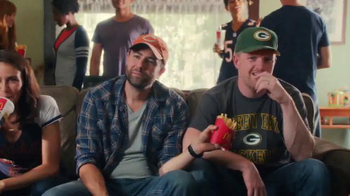 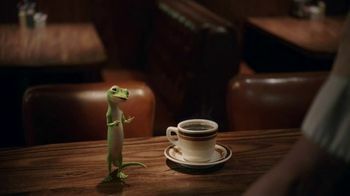 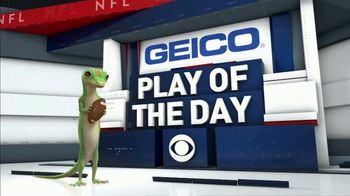 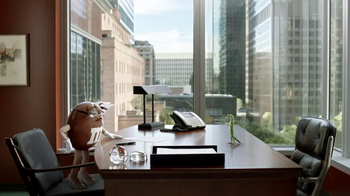 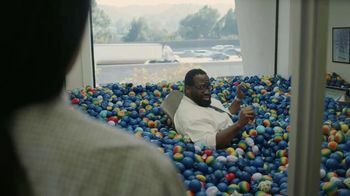 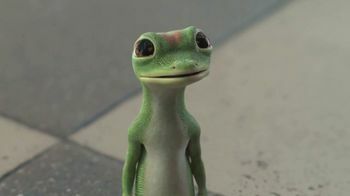 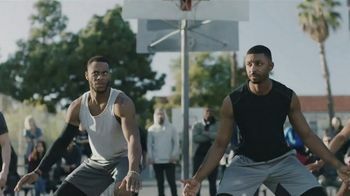 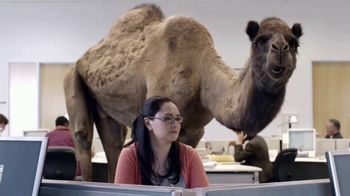 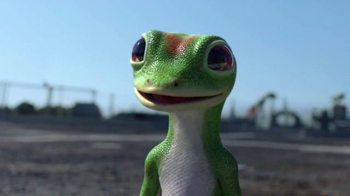 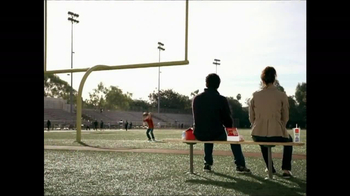 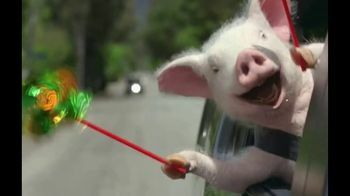 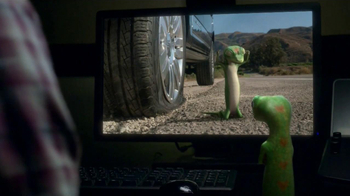 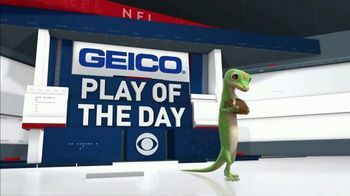 GEICO shows the "Play of the Day" from the game between the Chicago Bears and Detriot Lions. 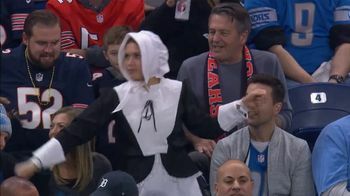 The first look is of a fan dressed as a pilgrim dancing in the stands. 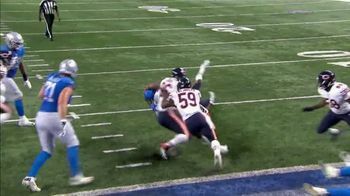 The announcers say they are thankful for the holiday hustle seen in this game. 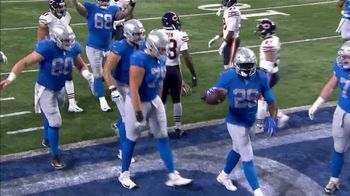 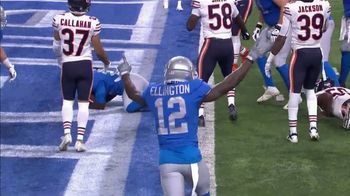 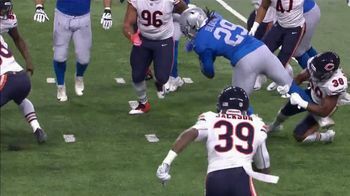 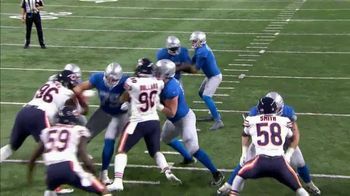 The commentator makes puns about the action as the Lion's Matthew Stafford hands off to LeGarrette Blount who is hit hard by the Bear's Adrian Amos Jr.